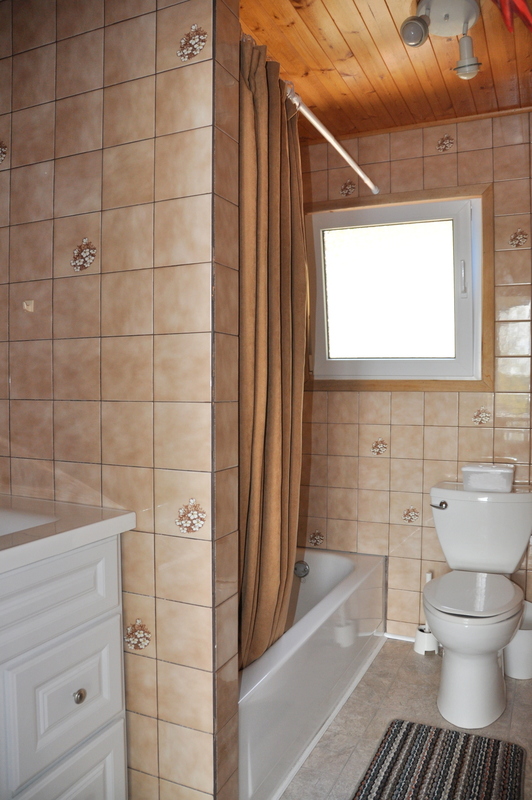 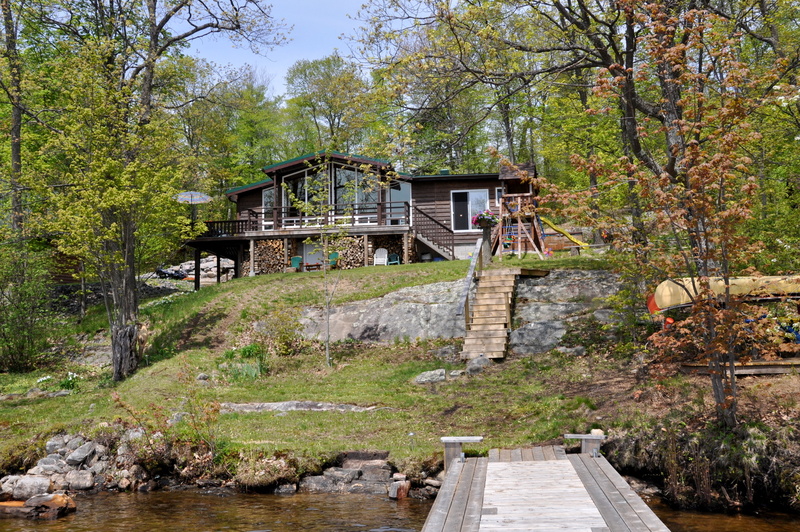 Newly re-built by the owners in 2007, this pristine 1,600 sq. 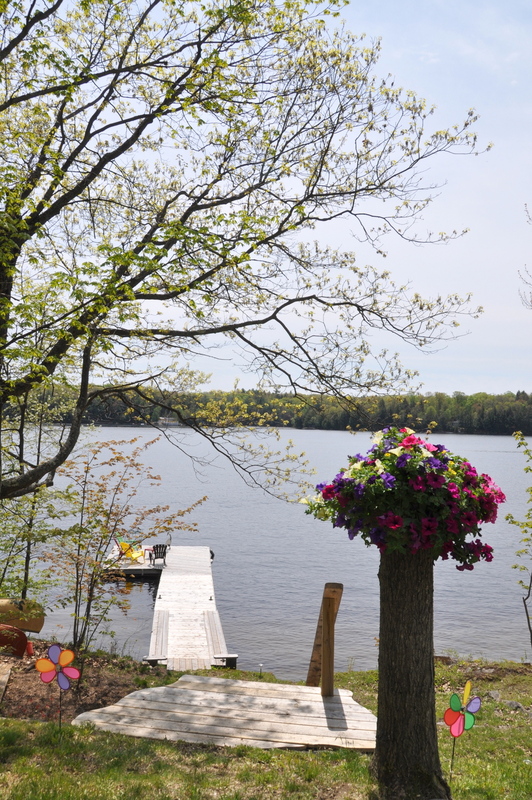 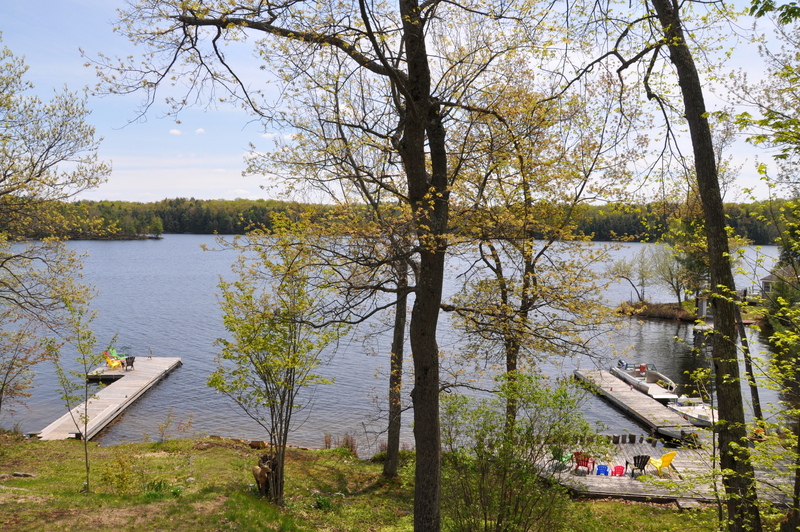 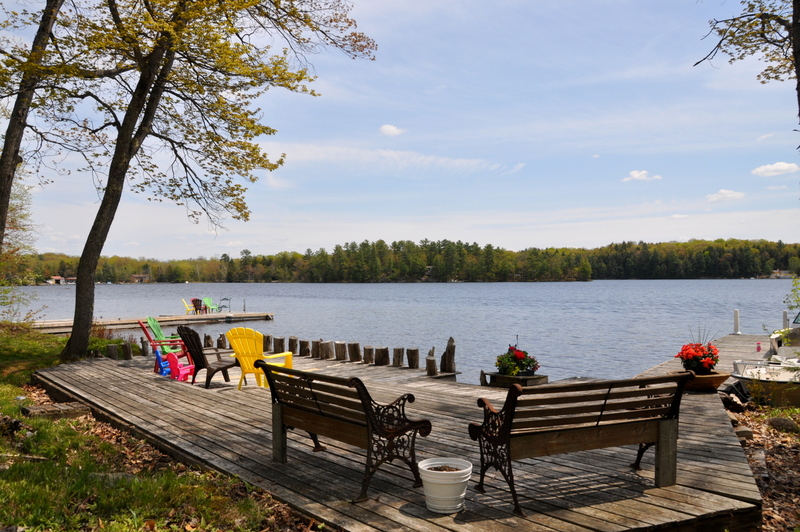 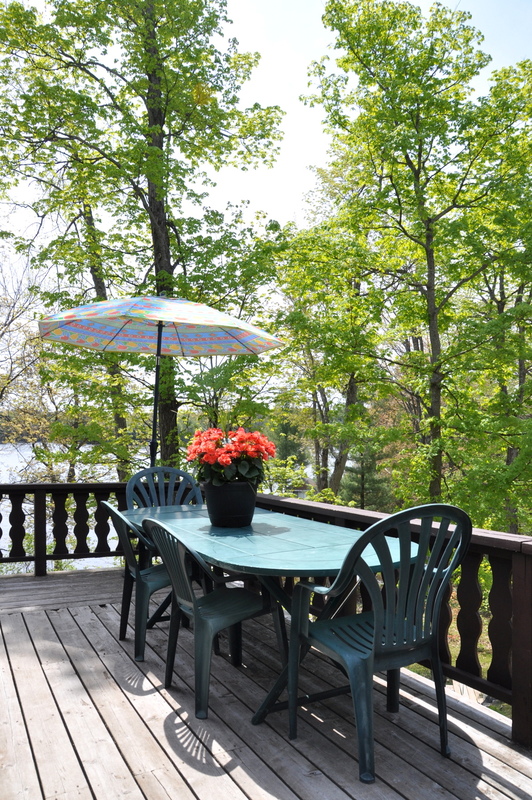 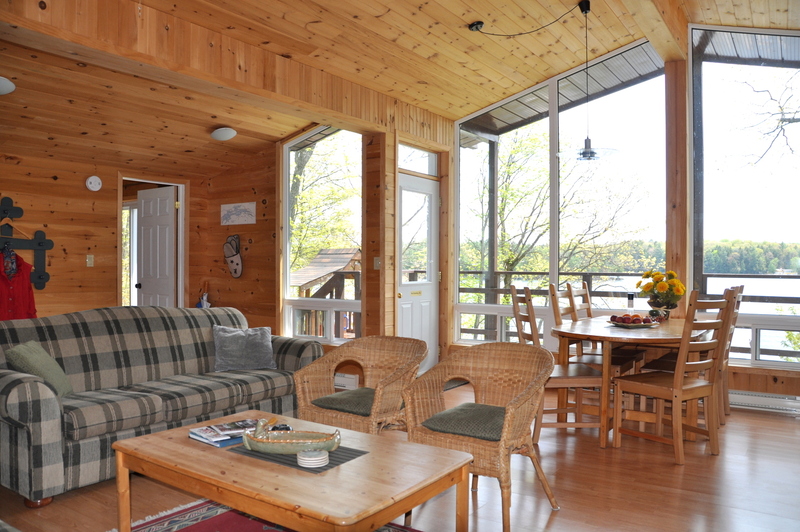 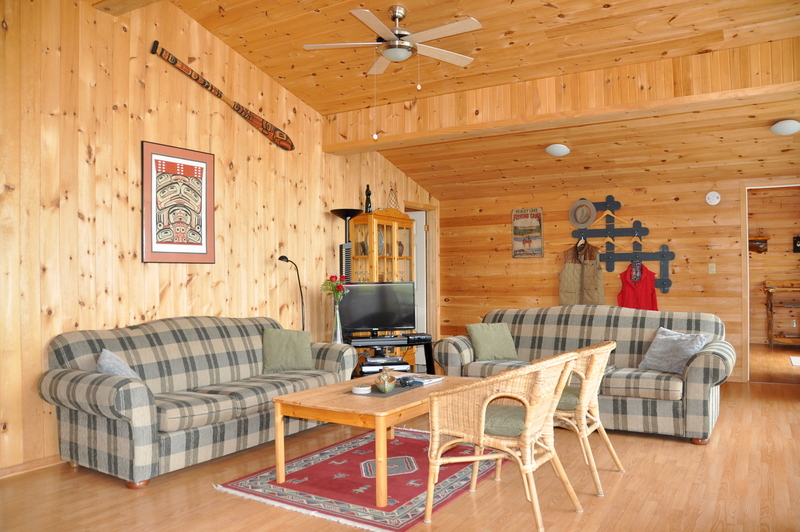 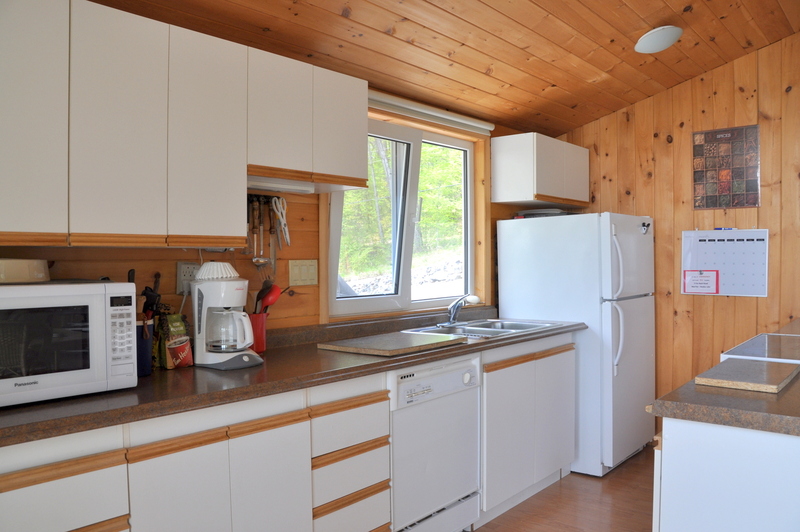 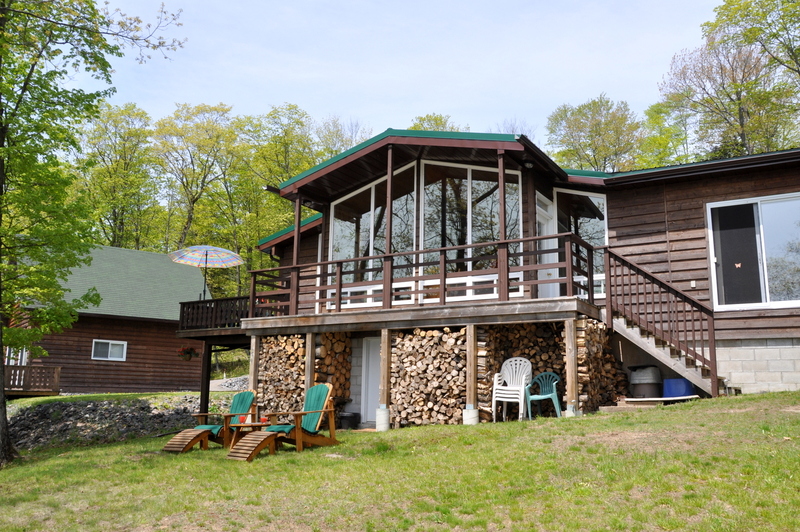 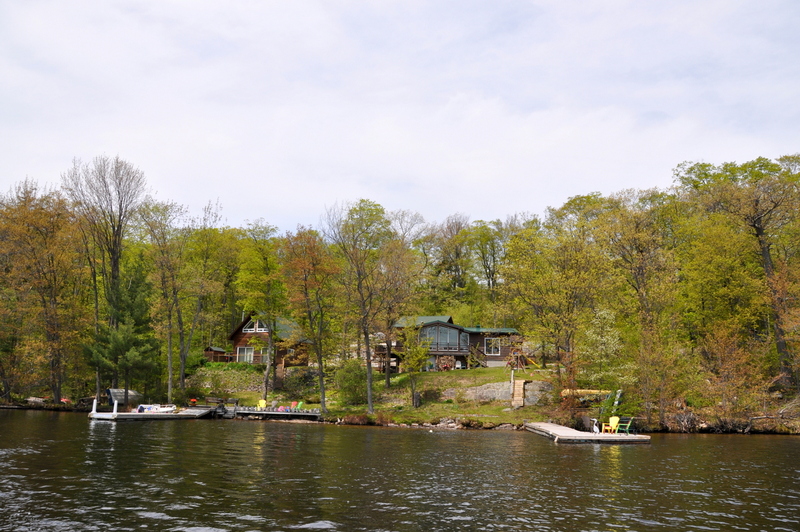 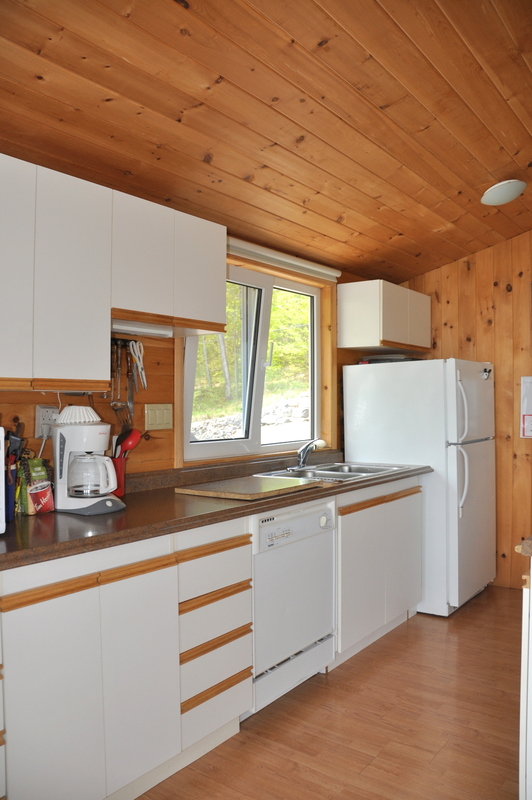 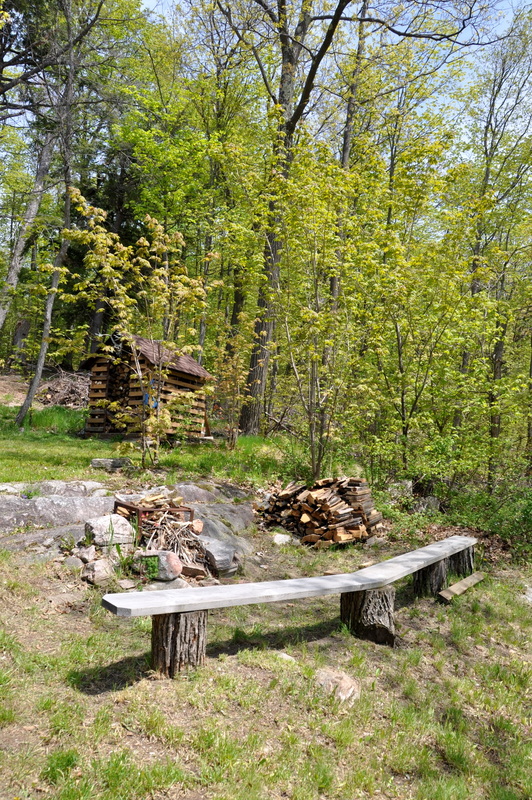 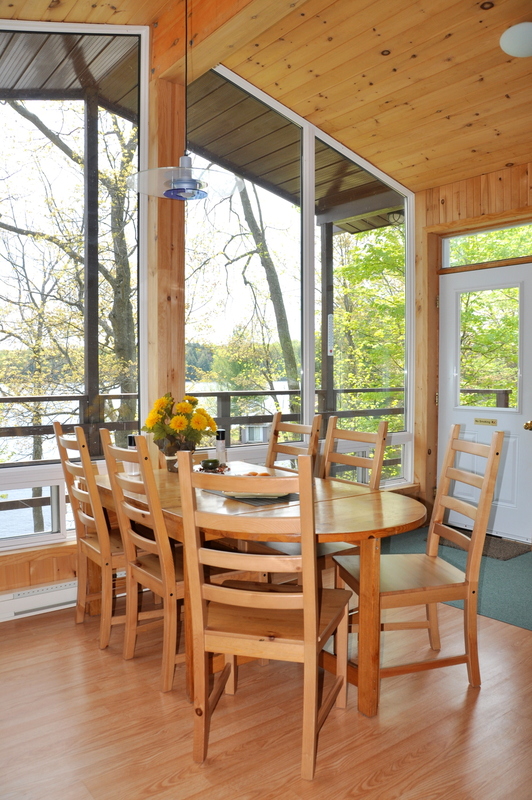 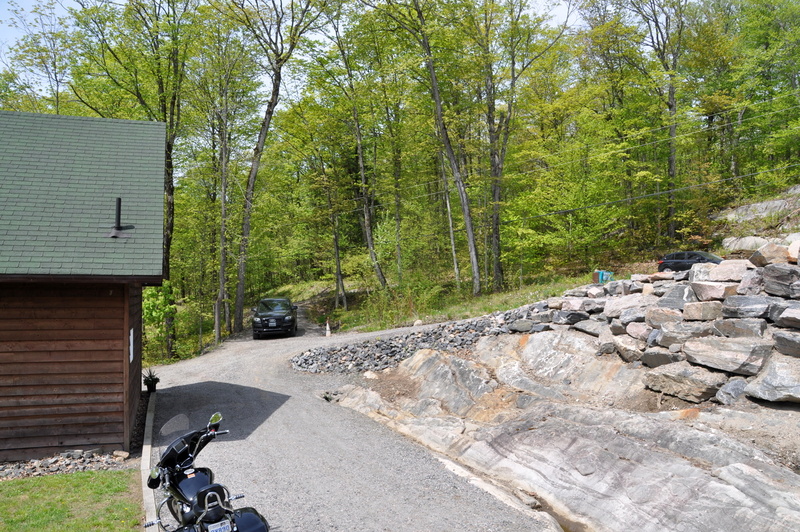 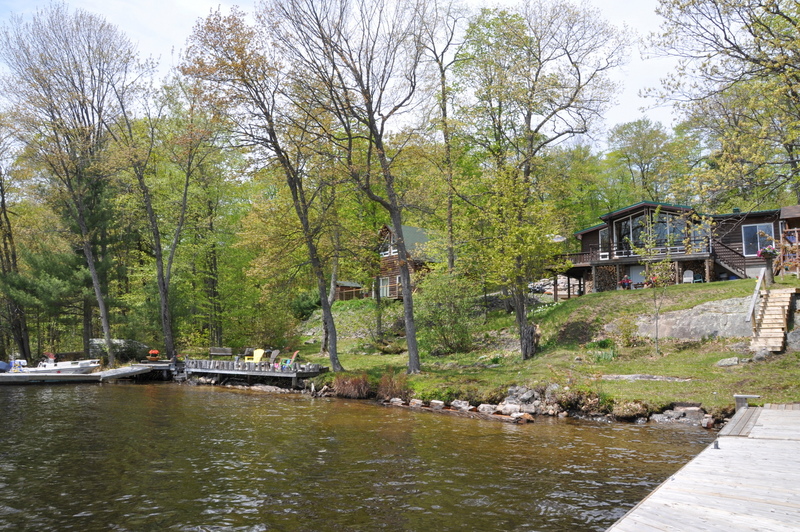 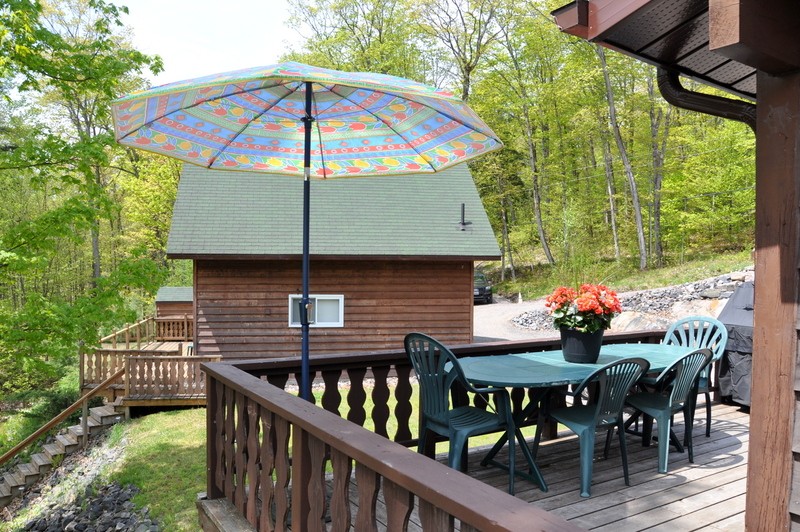 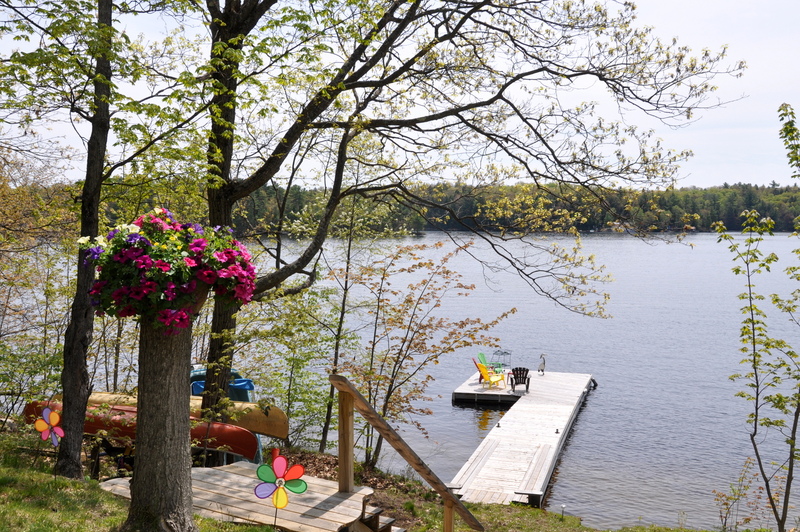 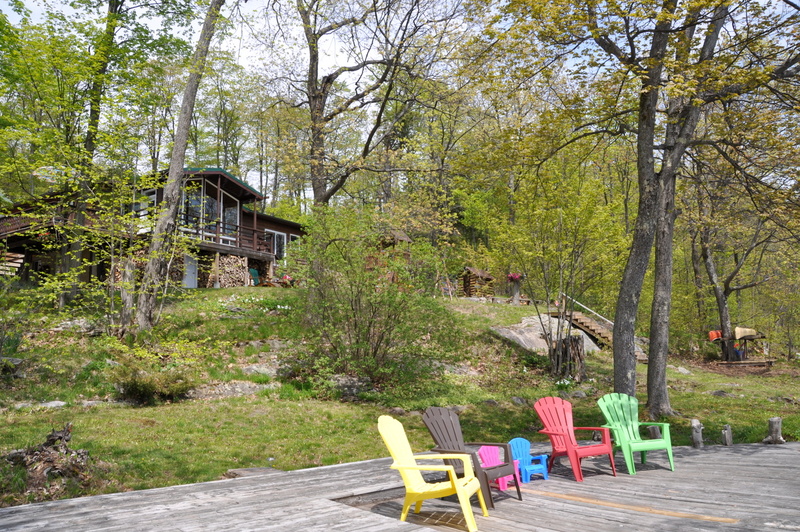 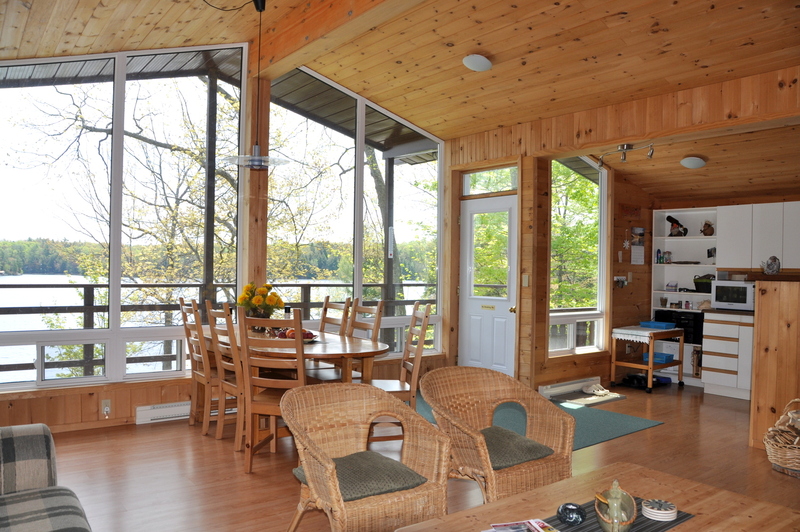 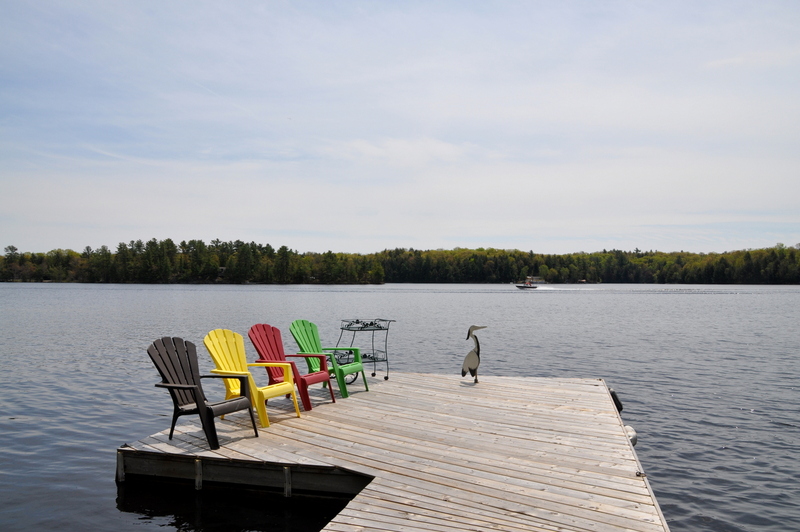 ft. cottage sits on an acre of land overlooking beautiful Healey Lake. 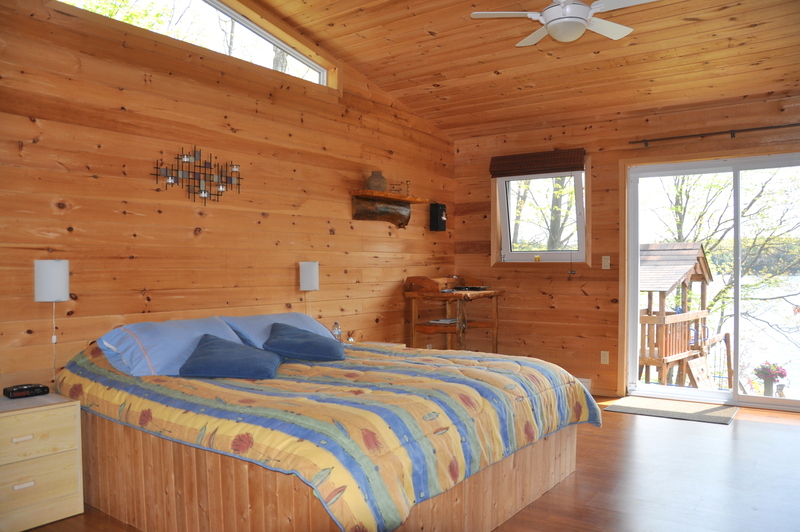 It is obvious to see the love the owners have for the cottage from all the special touches both within the cottage and on the property. 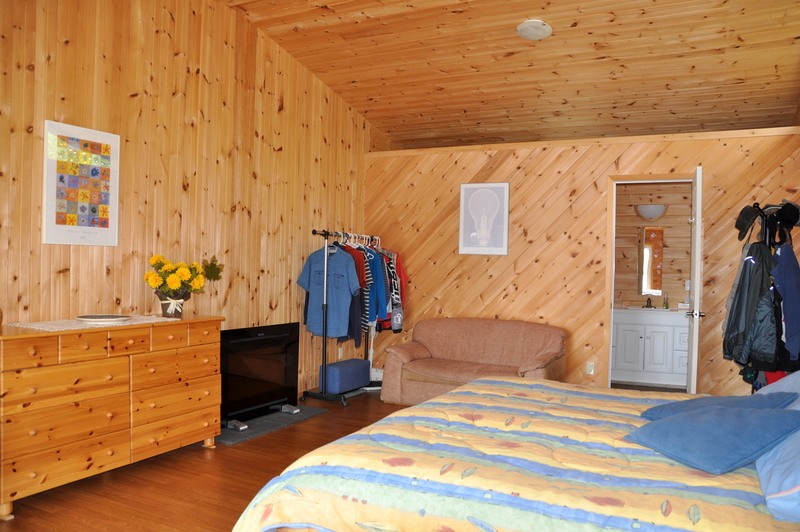 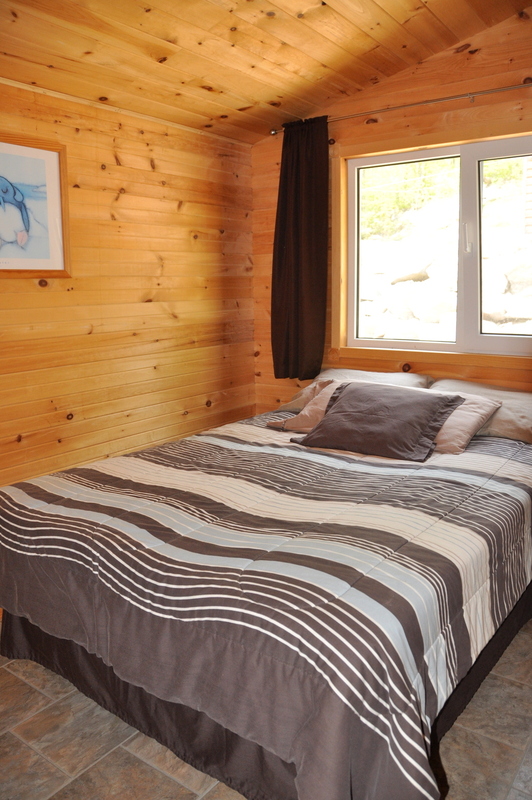 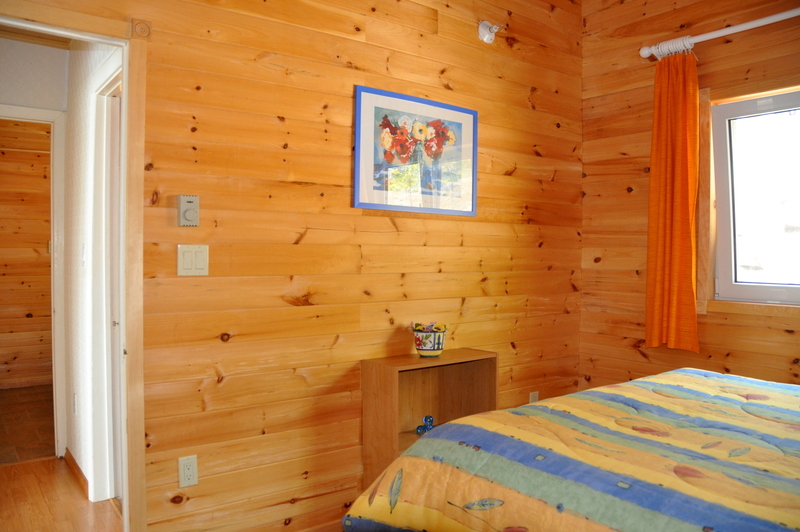 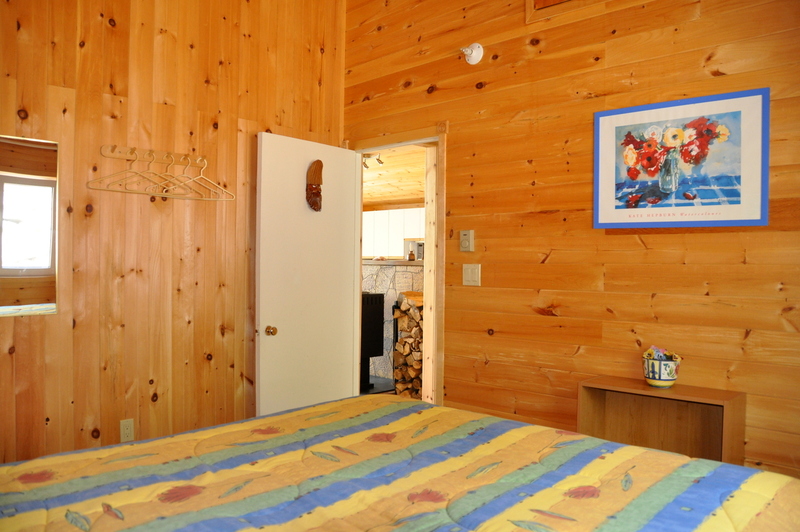 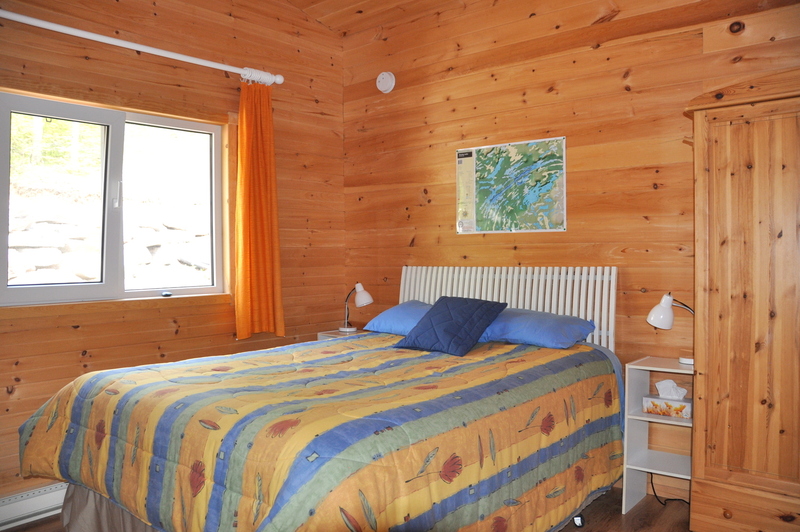 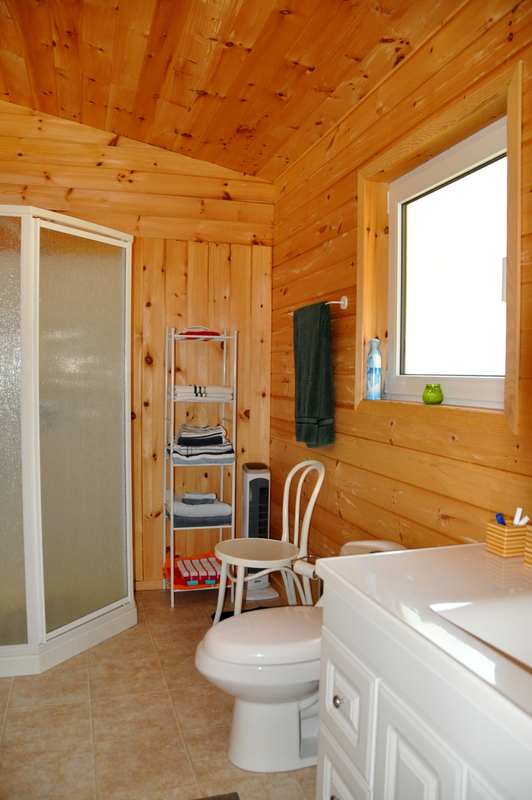 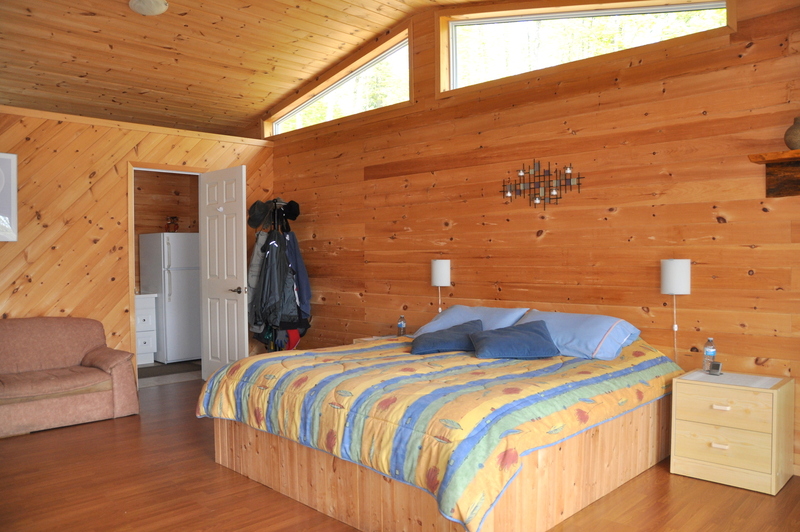 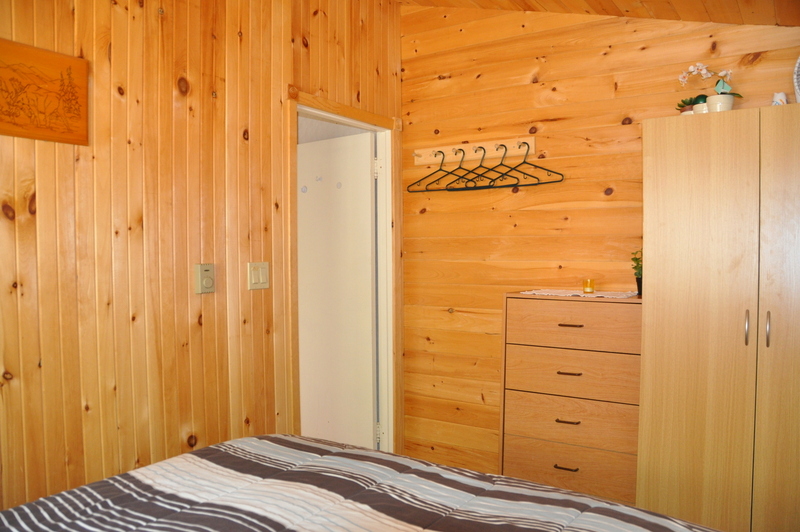 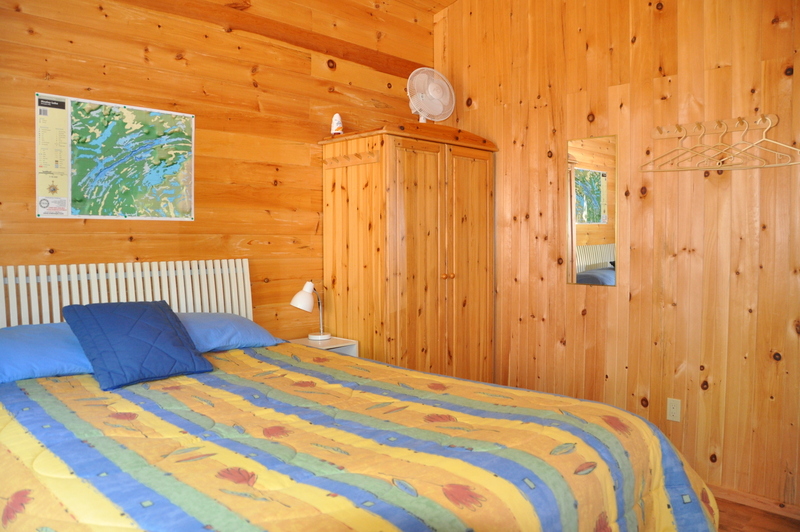 The interior is bright and spacious with gorgeous tongue in groove pine cathedral ceilings, walls and floors. 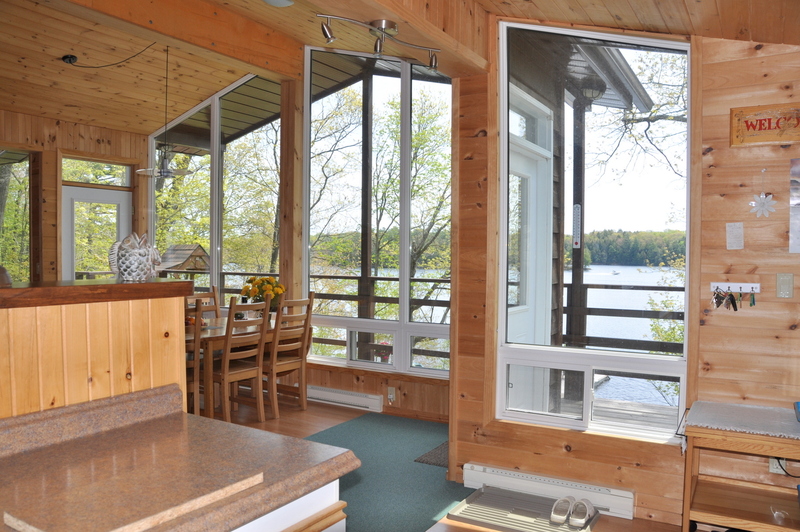 The open concept kitchen/living/dining faces out to fabulous views of the lake from floor to ceiling windows. 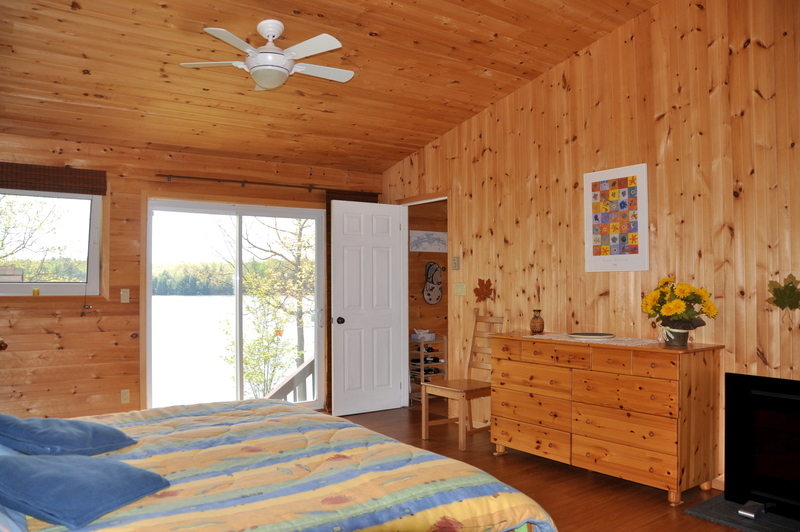 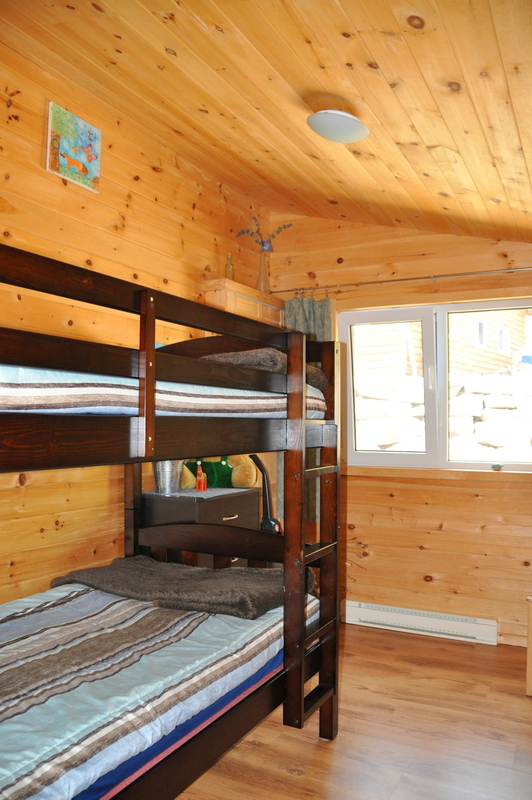 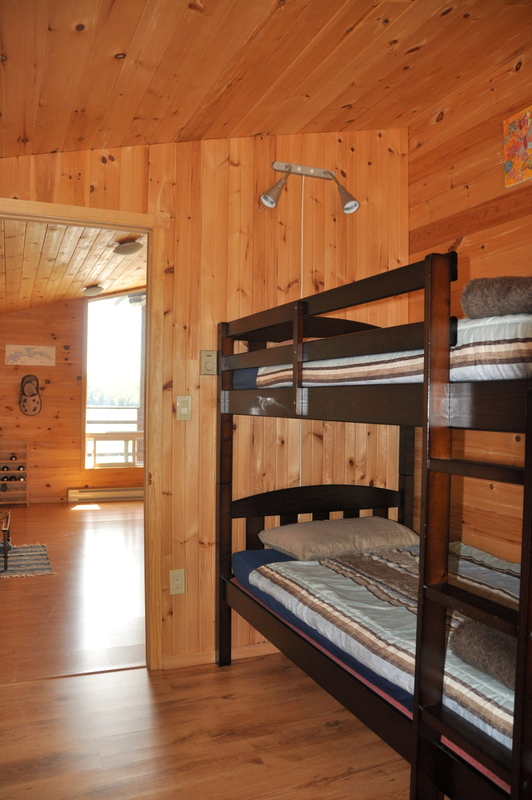 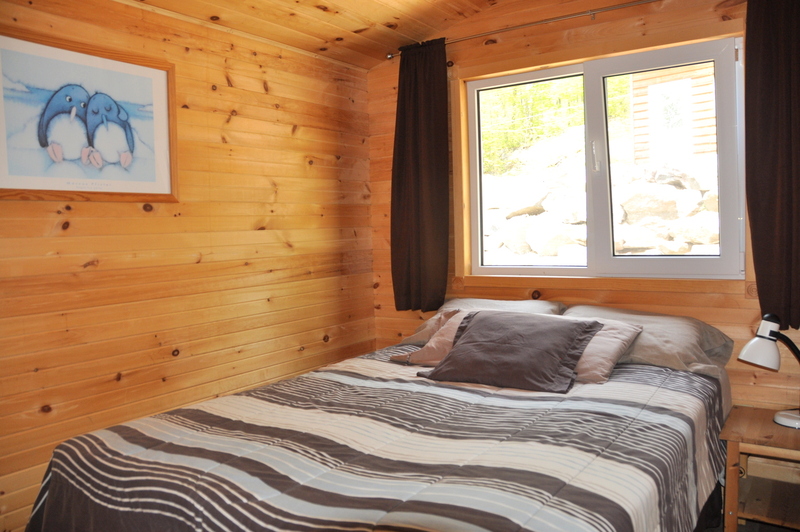 3 of the bedrooms and a 4-piece bathroom are tucked in behind the living area with the generous sized lakeside master bedroom and 3-piece ensuite off to the side. 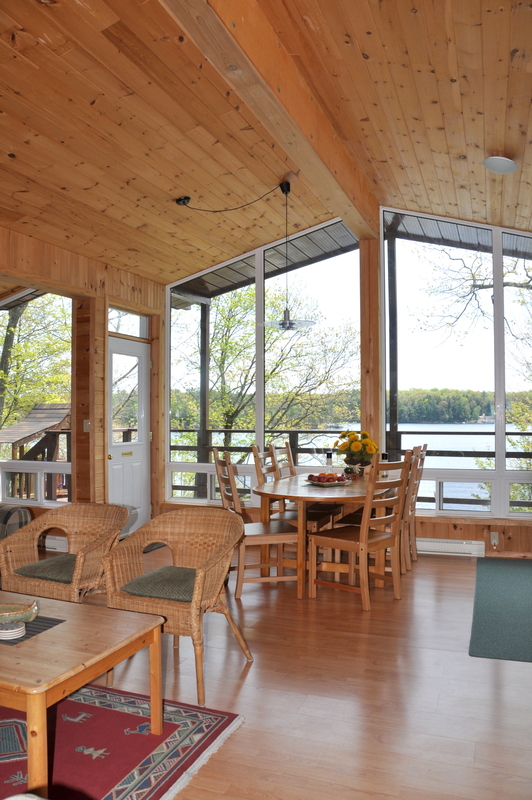 Situated on a quiet bay, with a south exposure, your days will be peacefully spent with plenty of sunshine. 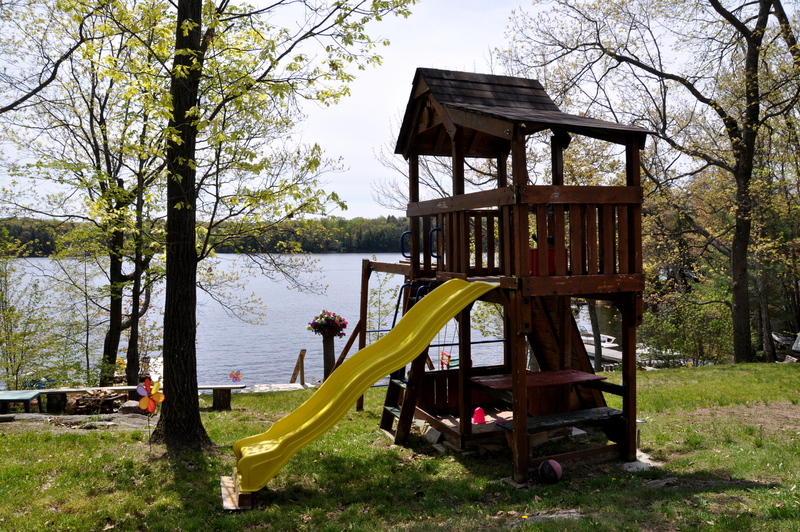 For families with small children, there is a children's play set on the lawn and a crib or high chair can be supplied if needed. 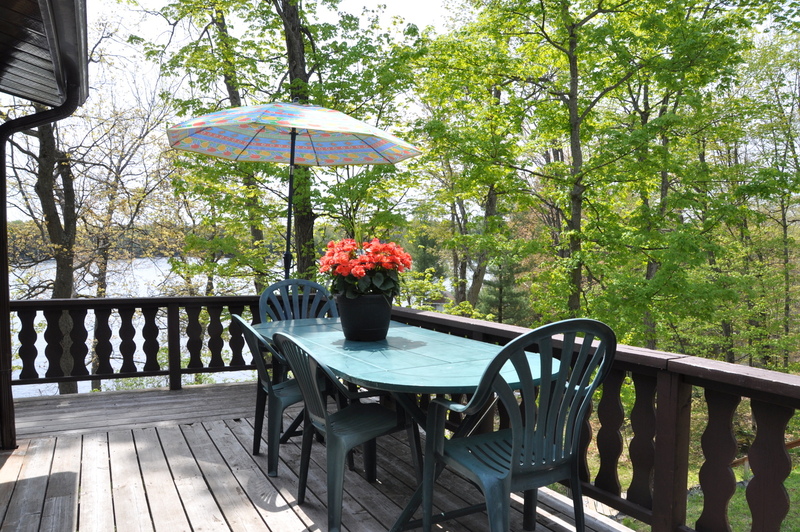 Recently added to the property is a screened-in gazebo, offering a great spot to remain outdoors, enjoying the breezes off of the lake, without any concerns of the early season bugs. 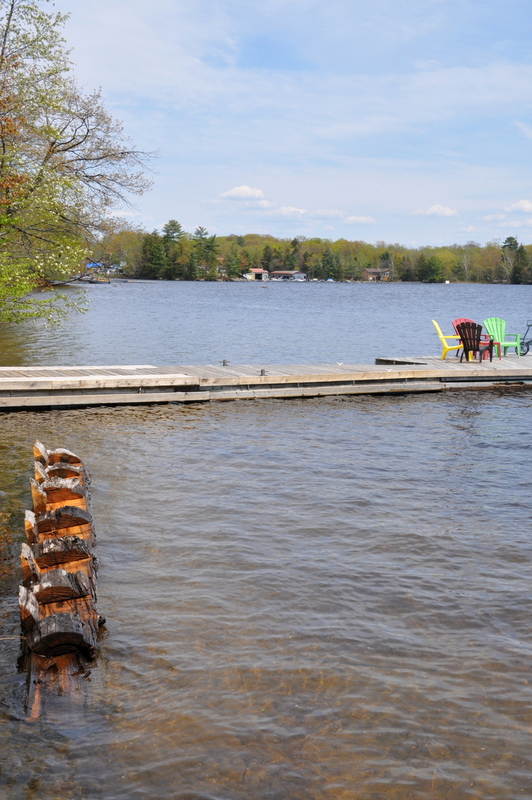 The true essence of cottage life is time on the dock and playing in the water. 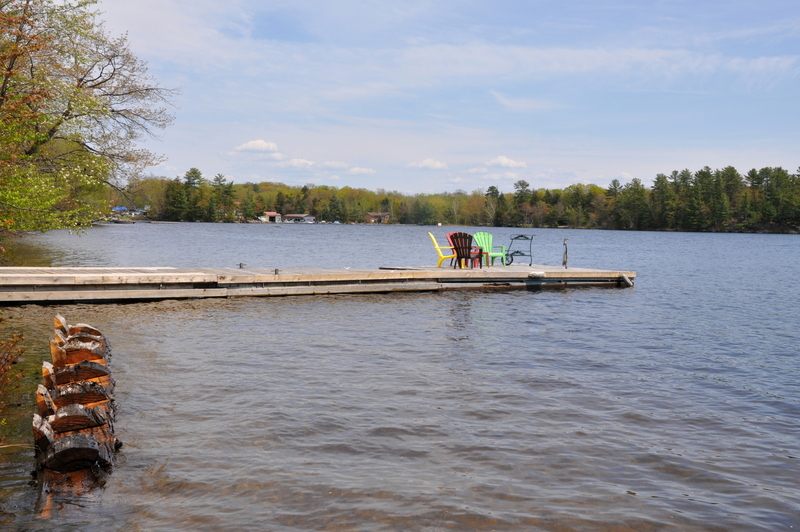 At this property you will have the rare opportunity of having two docks to rest and relax on with 150 ft. of hard packed shallow sandy shoreline in between. 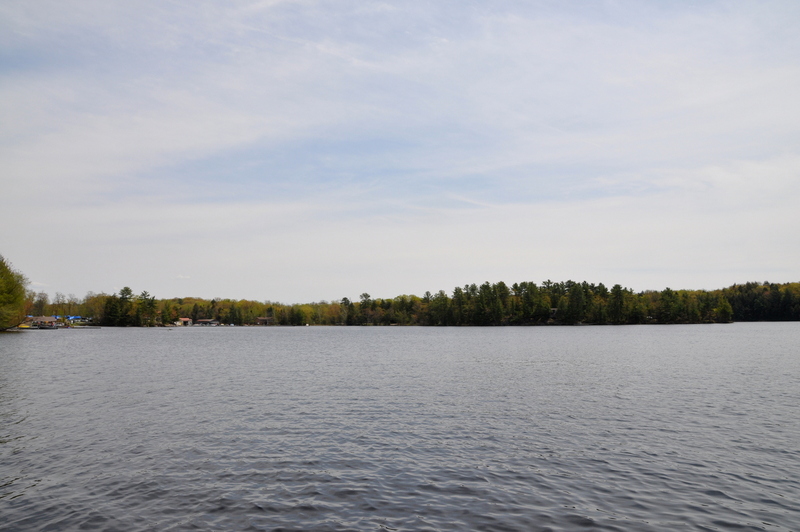 With a canoe, kayak and paddleboat at your disposal, be sure to take to the water and enjoy all that that the lake has to offer. 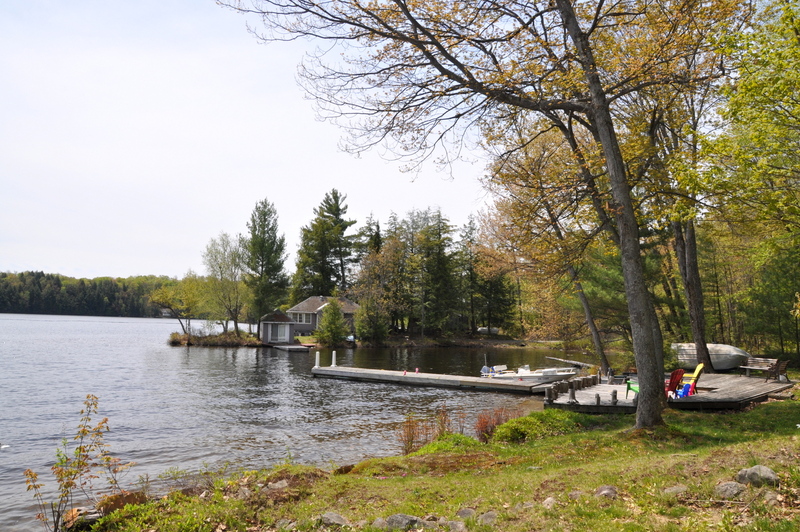 Try your hand at fishing for bass, pike, and perch, or venture out to the jumping rocks or just take a leisurely paddle and check out the beaver lodges. 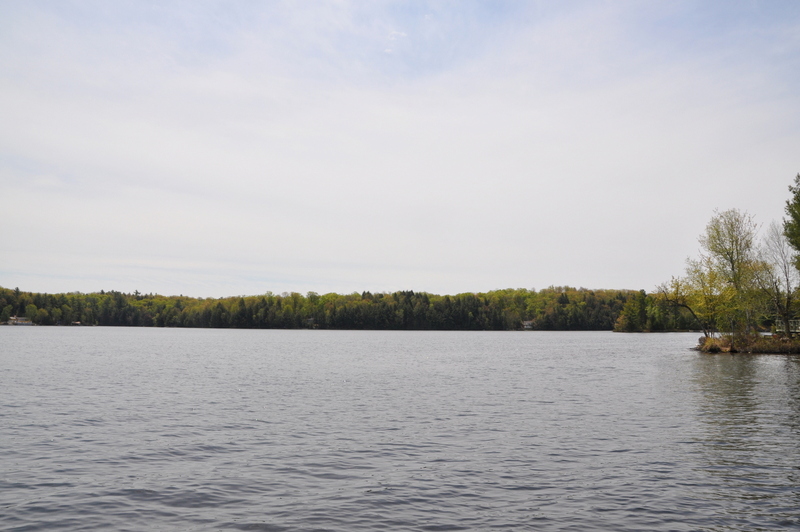 For the more adventurous, guided canoe trips can be had that would involve long paddles and portaging to either Woods Bay or Massasauga Provincial Park. 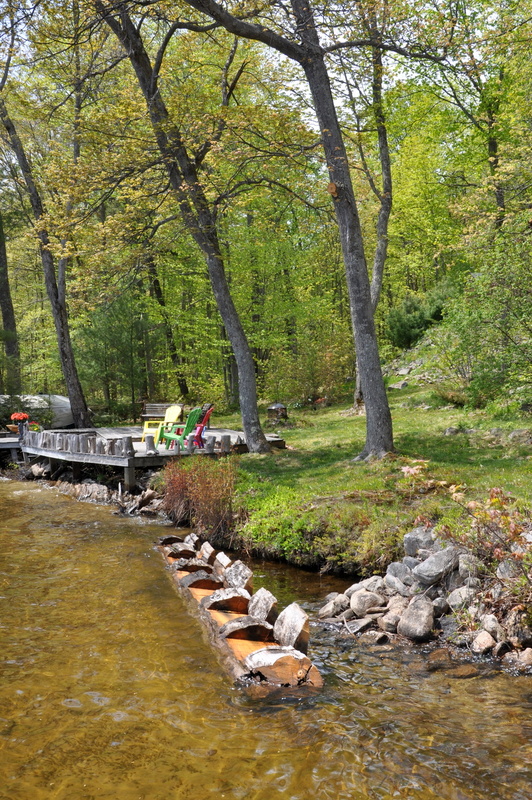 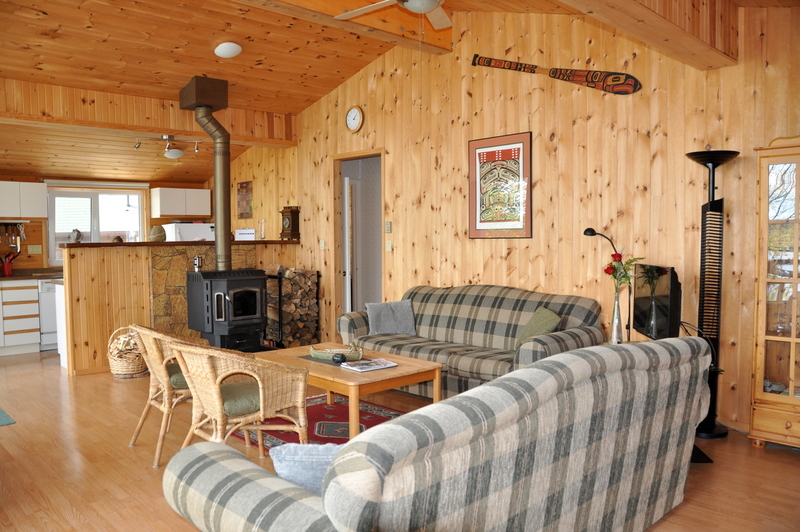 After just one week at this lovely property, your mind and soul will be completely rejuvenated! 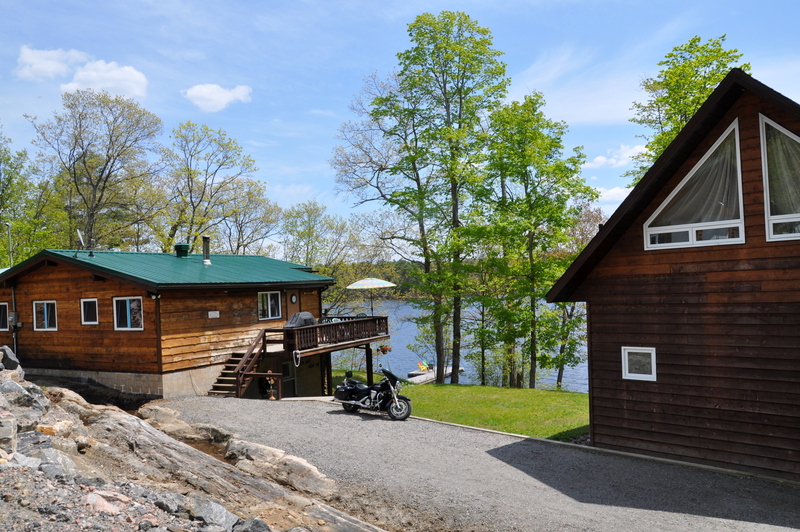 No better time than now to escape the city! 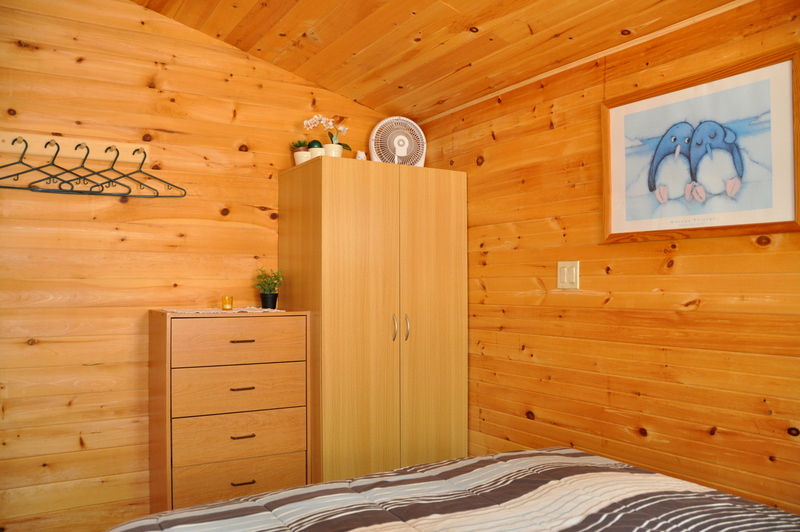 Pet allowed upon approval, no smoking, maximum number of occupants is 8, bed linens provided, bring own towels, bring own drinking water if you prefer, noise restriction after 11 PM.